Let’s face it. Our old events section was pretty weak. But we’ve changed that with the launch of a new, interactive events calendar that puts you in charge of its greatness. 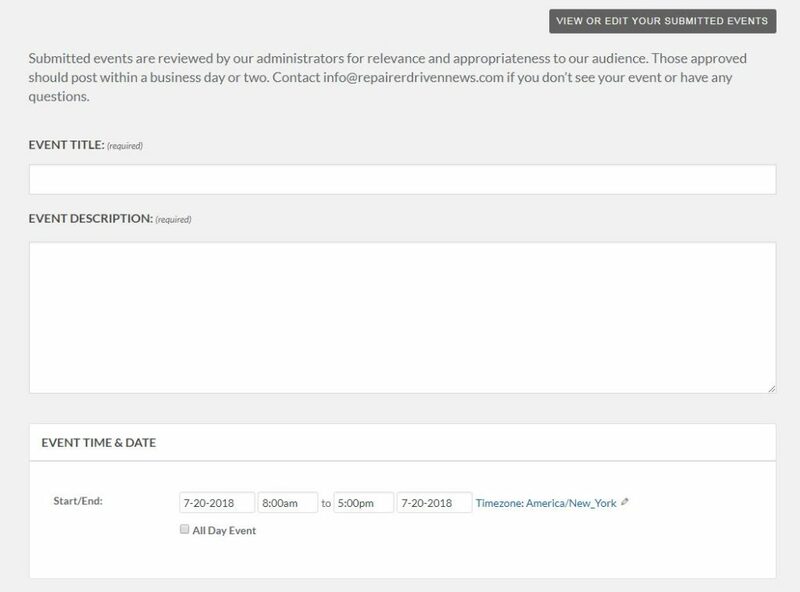 Simply click on an “Add Your Event” button and upload an event. All we need is a title, date and description, but feel free to fill out some of the optional fields to give the industry more information and make your event stand out. You can even add images (make sure you have the rights to use them) and a location that’ll generate a Google map. Our team will do a quick check for relevance (We’re happy your kid’s ballet recital is tomorrow, but it’s not really industry-relevant.) and appropriateness (Sorry spambots, but you’ll have to find another way to tell people your mail-order bride’s discount prescriptions can enlarge an exiled prince’s gold inheritance.) and upload it to the site. Our goal is to be quick about approving events, but sometimes we’re going to be in the midst of breaking news or a trade show and it might be a business day or two before we can get to it. The goal is to be the a central resource for all collision repair-related meetings, trade shows, educational classes, fundraisers and anything else various parts of the industry would want to event. Both megaevents like SEMA and local events like a meeting of a small regional trade group are welcome, and both free and admission-fee events are acceptable. 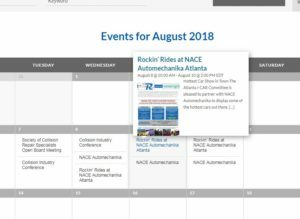 A special shout out to Rockin’ Rides at NACE Automechanika​ Atlanta, the first event to try out the new feature! We’ve made a few other changes to the website we hope you’ll like as well. A new feature at the bottom of stories shows related content. If you’d like more information about a company or issue discussed in an article you read, it’s a great way to get caught up. Another feature at the bottom of all pages shows the most popular stories among you, the readers, over the past 30 days. Make sure you’re in the know about what your peers might be discussing at the water cooler and on social media. 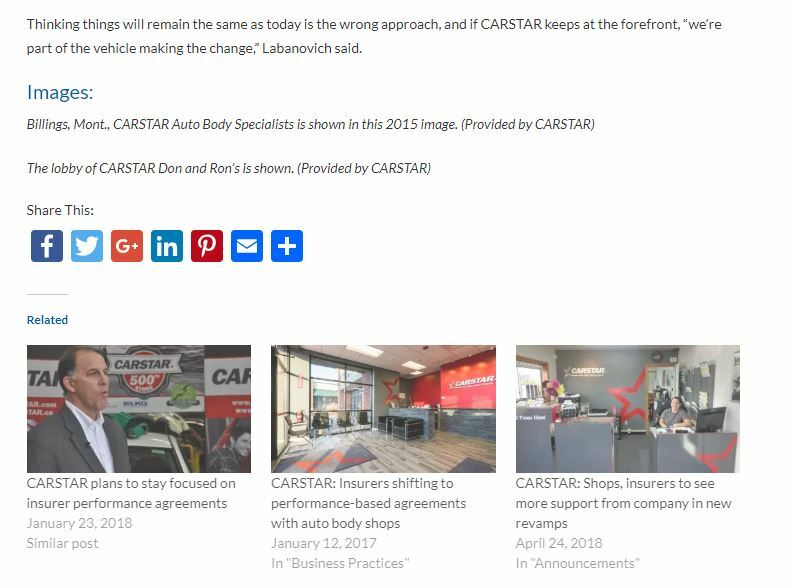 Finally, if you aren’t getting Repairer Driven News in your email, consider subscribing for free to our daily, weekly or monthly content blasts. We’ve made it even easier with a new button at the top of the site. Have questions? Don’t hesitate to contact us at info@repairerdrivennews.com.